3D Play-Doh Printer Shows Kids the Wonders of Advancing Technology! This past April Fool’s Day, we joked around about a Play-Doh 3D printer, which we wished was an actuality. A couple months later, we’re happy to report – this cool invention is indeed a reality! If the classic Play-Doh Super Extruder isn’t high tech enough for your little artist, HYREL‘s new 3D version will bring molding fun to the next level. Their Emulsifiable Extruder (EM01) lets print-happy designers create 3D objects with reusable or shapeable materials, like Plasticine, modeling clay and Play-Doh. Their at-home 3D printer can whip up complex 3D creations, that may be squished or played with, and then reused again and again. Costing around $2,000, HYREL’s Play-Doh printer is inexpensive enough to incorporate into a classroom or home studio, to introduce children to the wonders of technology. Rather than using more industrial materials, the machine becomes kid-friendly, by using non-toxic materials like clay or Play-Doh. This machine is also safe for child’s play because the Play-Doh doesn’t heat to extreme temperatures. Although it may seem pricey for a kid’s toy, the EM01 could be an incredible tool for introducing the next generation to a cutting edge technology like 3D printing and scanning, which has made leaps and bounds into consumer life over the past year. By using moldable materials like Play-Doh, the objects that are 3D printed give kids a chance to get the printed pieces in their hands — without fear of breaking or damaging them. Once a piece is printed and explored, the material can then be squashed and reused to print the next design. Currently ranging in cost from $2,000 to $3,095, the popularity of home 3D printers is resulting in price points that are more and more affordable, which could yield a classroom-priced model in the near future. 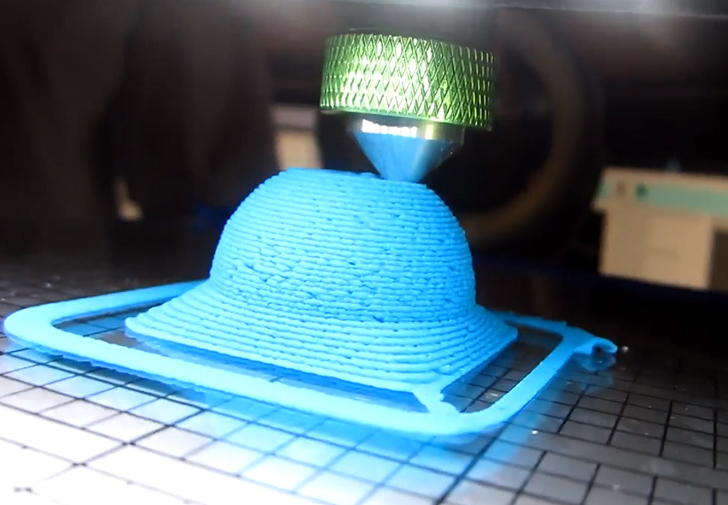 Watch the video of how this cool 3D Play-Doh printer works! 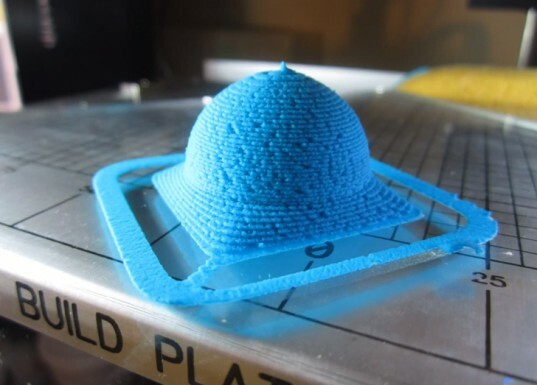 Images via HYREL 3D – 3D Printing with Play-Doh! This past April Fool's Day, we joked around about a Play-Doh 3D printer, which we wished was an actuality. A couple months later, we're happy to report - this cool invention is indeed a reality! If the classic Play-Doh Super Extruder isn�t high tech enough for your little artist, HYREL's new 3D version will bring molding fun to the next level. Their Emulsifiable Extruder (EM01) lets print-happy designers create 3D objects with reusable or shapeable materials, like Plasticine, modeling clay and Play-Doh. Their at-home 3D printer can whip up complex 3D creations, that may be squished or played with,�and then reused again and again.